Mordovia Arena is among the stadiums of Russia selected for FIFA World Cup 2018 matches. This is an international event and the stadium required for hosting it needs to be of international standard. There are 12 stadium in 11 cities of Russia where these matches will be hosted. All the stadiums are already built and they have also got thumbs up from FIFA. One such stadium is Mordovia Arena of Saransk, Mordovia, Russia. The stadium is located near the Insar river basin. It is newly built stadium, keeping this “once in four years” event in mind as the capacity is increased. The capacity of this stadium is 44000 and it will be reduced to 28000 after completion of the world cup. The seats in the stadium might have sounded much, however, the Mordovia Arena FIFA World Cup 2018 tickets are hard to get. People are very crazy for this event and fans from various countries are flying down to Russia. Construction of the football stadium was planned in early 2010. It was delayed for years until 2014, due to various reason. Later the construction work took speed after that and it finally opened for general public on 21 April 2018. Its opening day was very much awaited as it is one of the last stadium to complete the construction. Mordovia Arena will host 4 group stage matches. The first match will b played on 16 June and the last one is scheduled on 28 June 2018. The Mordovia Arena ticket price for FIFA World Cup 2018 will be shared by official sources for all the stadiums. The stadium is located in the city of Saransk of Republic Mordovia, part of Russia. Saransk Airport is the nearest airport is at a distance of 10 Miles, being the domestic airport it has limited advantages. One of the best ways to reach here is by train as Saransk’s main railway station is around 2 Km away. One can also use the buses to commute as another option. The time zone of Saransk city is GMT + 3. The address of the stadium is Volgogradskaya ul., Saransk, 430009. The game of football is watched by millions of people around the globe. As it is one of the most famous game, Fifa World Cup has its special charm. This time Russia is hosting the event and it is as big as it can get. There are many magnificent players and team waiting for their opportunity to prove themselves and lift the trophy this year. Among all the football madness, the fans will try to get a seat in the stadium to be a part of these amazing matches. Getting the Mordovia Arena Fifa World Cup matches will not be an easy task. One has to keep tracking the tickets and ensure that no chance should be missed. 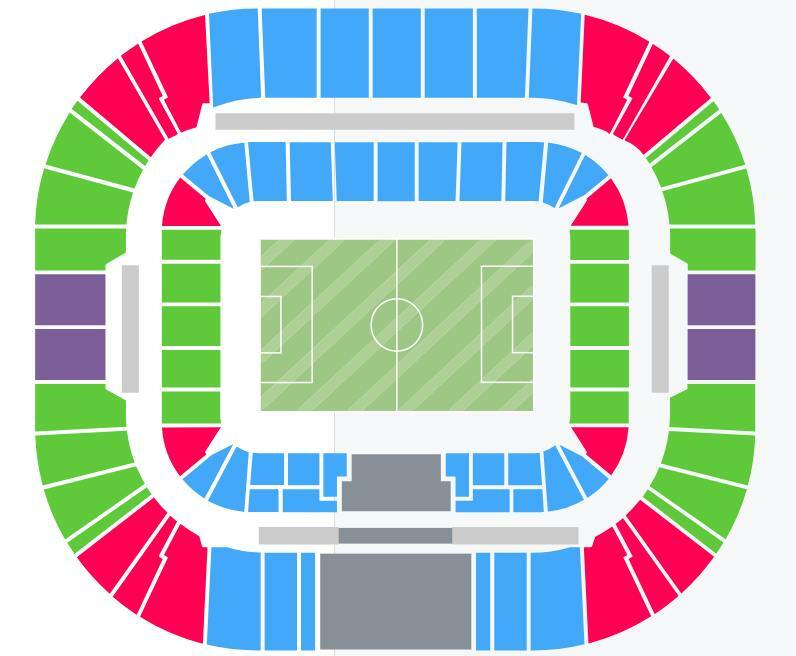 Many websites are selling the Mordovia Arena Fifa match tickets, ensure that you book tickets from official sources only. It will eliminate any chances of fraud or misunderstanding. Mordovia Arena has been built with a capacity to accommodate 45000 spectators. If you want to book the seat, it is advised to have a look at the stadium seating map first. For the people booking the seats with no idea of the seat layout, there is a good chance that you might miss the best view. Even for locating after booking the seats, you can see the Mordovia Arena seating map. So we can say that seating chart of any stadium holds an important role while booking the tickets and visiting the arena. Saransk Airport is the nearest airport to the venue, however, it is a domestic airport with limited connectivity. Nizhny Novgorod International Airport is the nearest airport with better flight connectivity, however, it is around 300 KM from the venue. Mordovia Arena address is Volgogradskaya Ulitsa, 1, Saransk, Respublika Mordoviya, Russia and zip code is 430009. We have selected some nearby hotels to the venue. You can check online and book them as per your budget. I hope this post will help you to book Mordovia Arena tickets online from official source only.